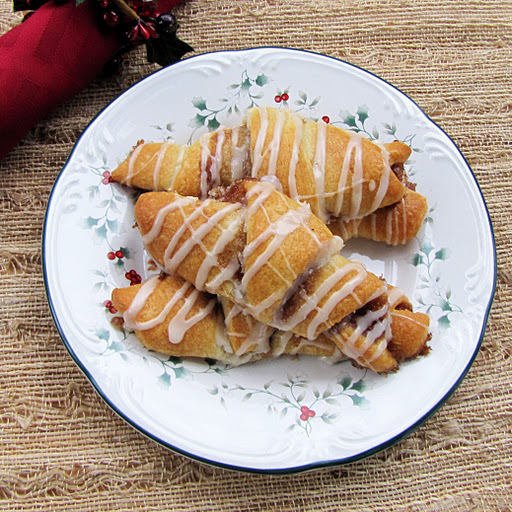 I’m always looking for delicious and easy things to do with Pillsbury Crescent Rolls. It’s always worth it, if you have the time, to make dough for things like cinnamon rolls and bread from scratch, in my opinion. But some days, you just need something delicious and easy that you can throw together for breakfast or a quick coffee date. 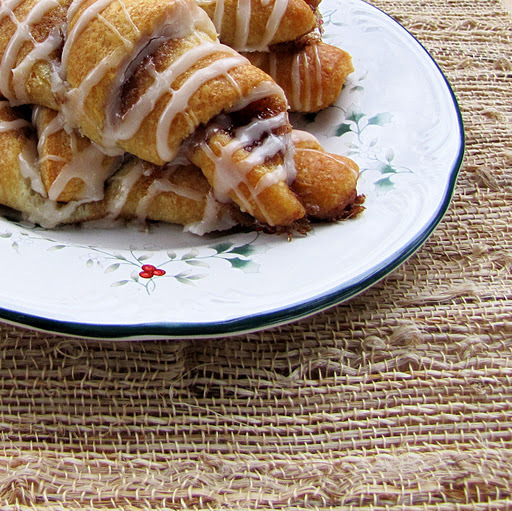 These buttery, cinnamon sugar croissants would be a perfect compliment to a Christmas morning breakfast. They are best when served warm. Heat oven to 350°F. In small bowl, combine butter, sugar and cinnamon; beat until smooth. Separate dough into rectangles. 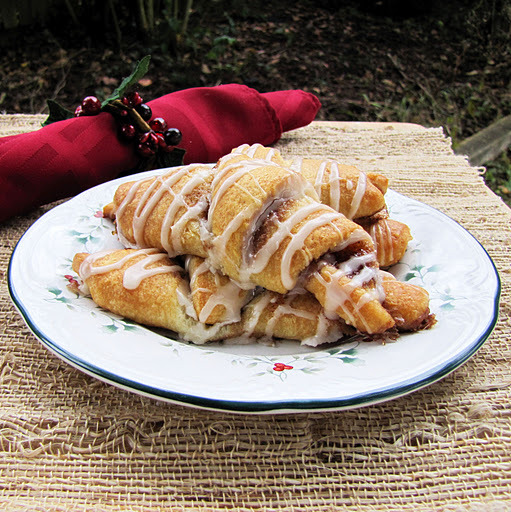 Spread each rectangle with about 2 tablespoons cinnamon butter mixutre. 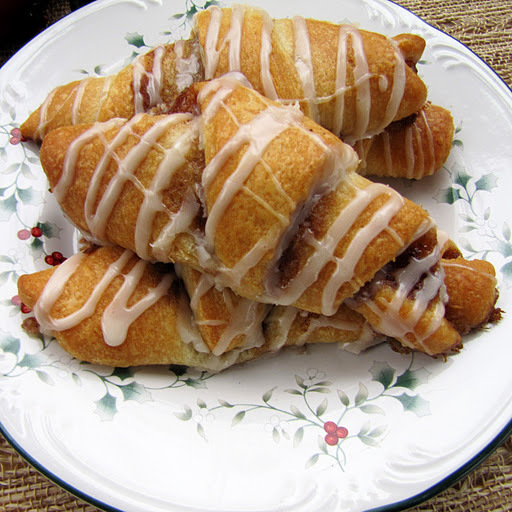 Roll up each, starting at the widest side, as you would normally do for crescent rolls. Firmly press ends to seal. Bake at 350°F. for 10 to 15 minutes or until golden brown. In small bowl, blend all glaze ingredients, adding enough milk for desired drizzling consistency. Drizzle over warm rolls.